Fresh asparagus has a mild, slightly sweet, vegetal taste. It is best when cooked so it still has a little bite to it. 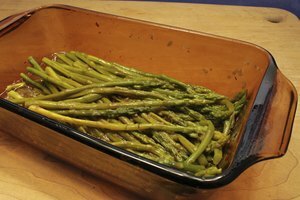 Overcooked asparagus becomes mushy and wet, while undercooked asparagus is difficult to chew. 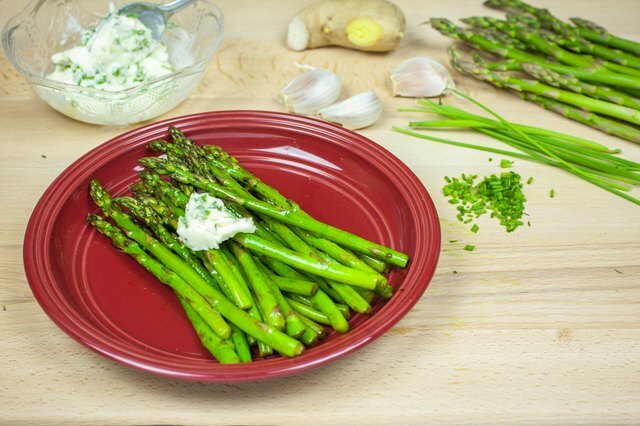 Fresh asparagus tastes fantastic with nothing more than salt, lemon juice and olive oil, but you can use spices and herbs to make your asparagus dish more memorable. 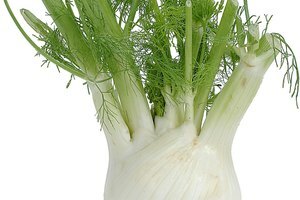 Because the vegetable is mild, be careful not to overwhelm it with seasoning. 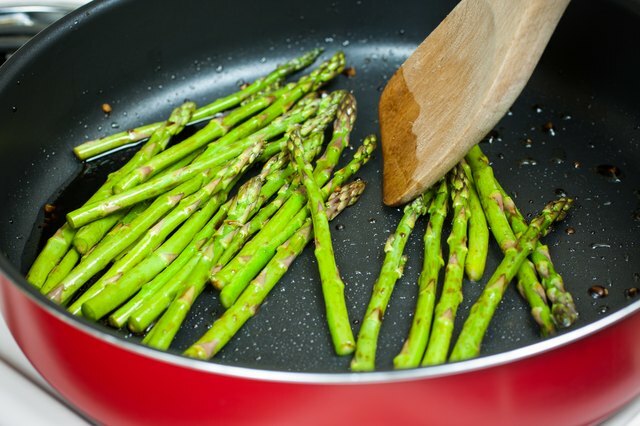 The cooking method you use affects the type of seasonings that best suit asparagus. High-heat cooking methods such as broiling or grilling produces slightly charred spears with a smoky flavor. In this case, using stronger-tasting spices may overwhelm the flavor of the asparagus. Steaming, poaching or stir-frying asparagus produces crisp-tender spears that do not have any added flavor from the cooking method. Because of this, stronger spices pair well as there is nothing else to mask the fresh taste of the asparagus. 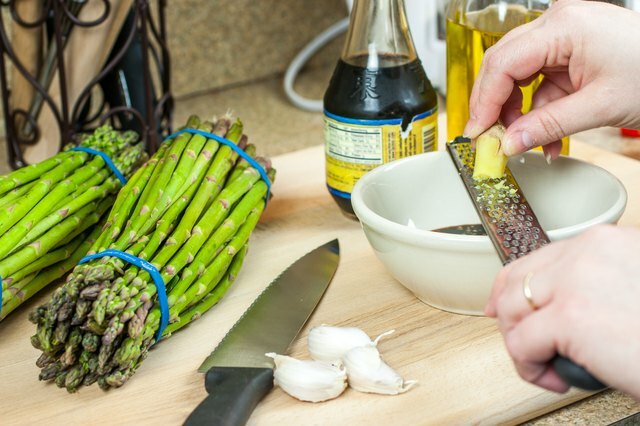 Spices -- seasonings produced from portions of the plant that are not the leaves -- may highlight different elements of asparagus. Combine grated fresh ginger with soy sauce and minced garlic for a quick sauce that lightly coats stir-fried asparagus. Add in a few chopped chili peppers for extra heat. For a darker, earthier flavor, dress grilled or steamed spears with a mix of olive oil, garlic powder, chili powder and smoked paprika, tossing to coat the spears evenly. 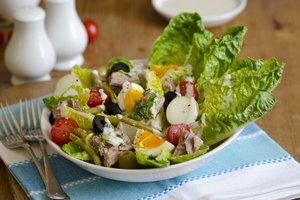 Use fresh herbs to create a light but flavorful asparagus dish. Mince basil, mint and chives together, whisking them in with olive oil and lemon to create an herb dressing. 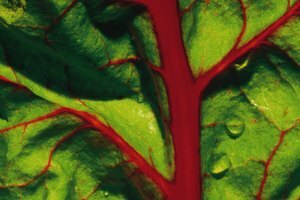 Pour over chilled or lukewarm poached spears for a quick, simple salad. 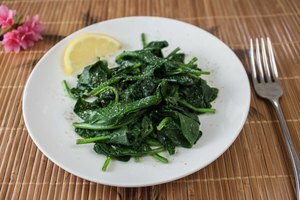 You also may scatter fresh thyme leaves over poached or boiled spears, adding lemon zest for brightness and minced garlic for depth. Make herbed or spiced butter to place on top of freshly cooked spears as a quick, easy way of seasoning the vegetable. 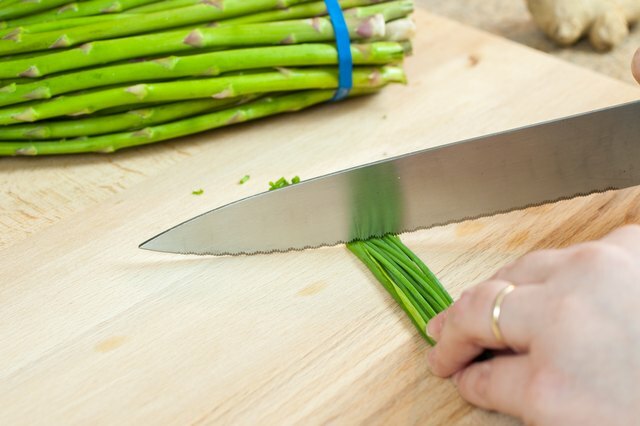 This method allows you to prepare the seasoning in advance, letting you cook the asparagus to order with minimal fuss. While garlic, lemon zest and parsley are a classic combination for seasoned butter, consider using more unconventional herbs and spices. Minced tarragon leaves, pepper and lime juice make for a savory and tart compound butter. When making herbed or spiced butters, stir the ingredients into room-temperature butter, then cover with plastic wrap, storing in the fridge until ready to use. The residual heat from the spears will melt the butter, creating a sauce.